Their engaging humour and personality has made them popular performers in theatres, festivals, concerts, corporate events, and clubs. These Borealis Recording Artists have rambled along Canadian highways from Ontario to the Maritimes, into the mountains of New York, and across the seas to Britain, Sweden and Taiwan. Tom and Mark were commissioned to write arrangements of Canadian traditional music for the Canada Pavilion at Epcott Centre, Disney World, Florida. They celebrated the release of their second CD, "Optimists Jig"" with a busier schedule of concerts and festivals including performances with the Kingston Symphony Orchestra. 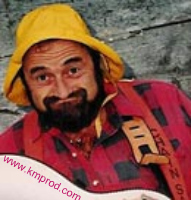 "Optimists Jig" receives air play on Canadian national radio and selected folk stations across North America and is featured as TV theme music for "Antiques Country" WNED, Buffalo, New York. 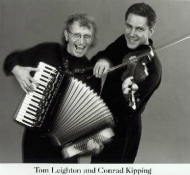 Tom Leighton also performs regularly with Conrad Kipping who provides lively accompaniment on guitar, fiddle and mandolin as well as backing vocals and accompanies Mark and Tom on many of their shows, tours and albums. Their Sound: Mark's voice "is a one of a kind". Add Tom's superb harmony and arranging skills, and the stories and images come vividly to life. 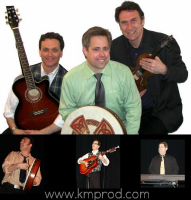 These multi-instrumentalists combine the traditional "tug at your heart strings" sounds of the fiddle, accordion, guitar, bouzouki, and bodhran, with the "turn on your ears" new technology of synthesizers, tone generators and processors. 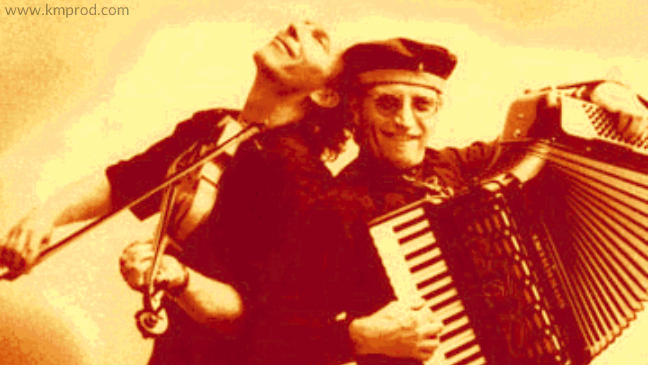 Tom sometimes plays FOUR instruments AT ONCE; left hand pumping the accordion and bass, the right hand thumping the drum, while his feet deftly work the pedals of the keyboards. These guys create a HUGE sound! The CEC McECHERN AWARD (to Tom Leighton) for outstanding musical accompanist. Driving the crowd insane with pleasure! I had the breath sucked right out of me by the fantastic musicianship of Mark Haines & Tom Leighton, they sound at times like a symphony! Their enthusiasm and love of this music is so encompassing and pervasive that the audience is swept up in a contagion of joy! Absolutely the hit of the White Oak Folk Festival Last July!! –Jim Marino, host of the Freewheeling Folk Show on 93.3 CFMU in Hamilton Ont. Gentlemen: Your Chicago area performances were nothing short of fantastic. Thanks for gracing us with your music. A two man folk festival!